MTX THUNDER..A name synonymous with car audio for over 20 years has a reputation for power, performance, and reliability. The THUNDER amplifier line has seen numerous technological advancements throughout its life and continues to be one of the most recognized and sought after products in the car audio world today. 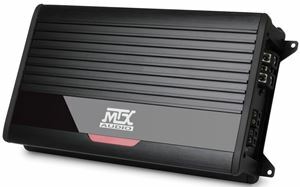 The MTX THUNDER500.1 mono block amplifier is the product of many of those advancements making it perfect for that “Bass in your face” attitude. The THUNDER500.1 is a high powered 500-watt RMS amplifier designed to be installed in almost any vehicle due to its small chassis size. 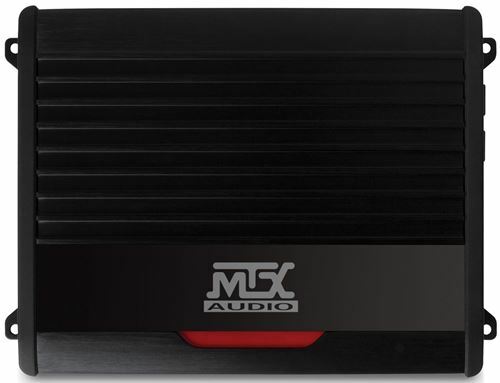 Its power capability makes it a perfect choice for running single or multi-woofer sound systems without worrying about compromising bass output or quality. Like what Thomas said this is also the best amp I have purchased in a long time. I went from a cea compliant 1200 watts rms @ 1ohm amp to this small little powerful beast and i must say this thing 1000 watts at 1 ohm beats my old 1200 watt rms amp by far and the bass quality running it at 1 ohm is truly amazing!! and it gets warm but not hot and that's normal. this amp made me want to get into system building for a hobby all over again thank you mtx!! I have been a dedicated Rockford Fosgate amp user since 1992. I recently purchased an MTX 500 watt mono block and in the words of Rapunzel, "I am never going back." 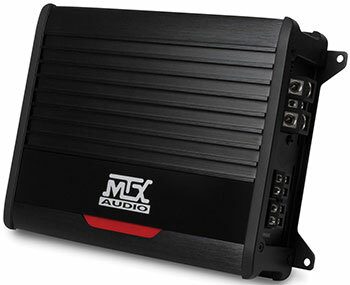 MTX beats RF on price, specs, customer service and warranty. I wish I had found out about MTX years ago. Wow! This amp has plenty of sharp clean pop on the bass end and clean crisp highs. This brand was recommended by a installation tech at a store that did not sell MTX. This is after a Soundstream Rubicon amp last three months and needed to be sent back twice for repairs. There is no comparison in the sound quality with the MTX high years ahead! ...Did I say 'Wow"?! 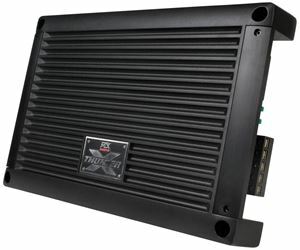 This amp features a high-efficiency Class D circuit design chosen for its ability to produce high output power while minimizing power loss to heat build-up. It’s this capability that makes it perfect for driving woofers to their limits and delivering that vehicle shaking bass you want. It’s not just the circuit type that makes this amp tick, but also the parts used and how they are installed. We use surface mount technology to help create the compact design of the amplifier and improve its reliability and resistance to vibration. High grade components are chosen for the quality and to ensure the amplifier delivers maximum power output when you need it. In addition to the circuit design, we’ve also added the features you need to fine tune your system sound such as the built-in variable low pass crossover, selectable bass boost circuit and variable subsonic filter. Additionally, we know how important the speaker and power connections are to a properly working sound system. This is why we use set-screw style terminals to provide the most secure connection possible which minimizes any power loss while delivering all the power to the amplifier and to the speakers. Remember, you cannot install an amplifier without an amplifier kit. 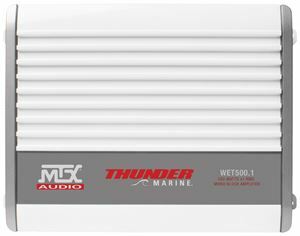 MTX recommends using a ZN5K-04 or ZN5K-08 to power the THUNDER500.1.